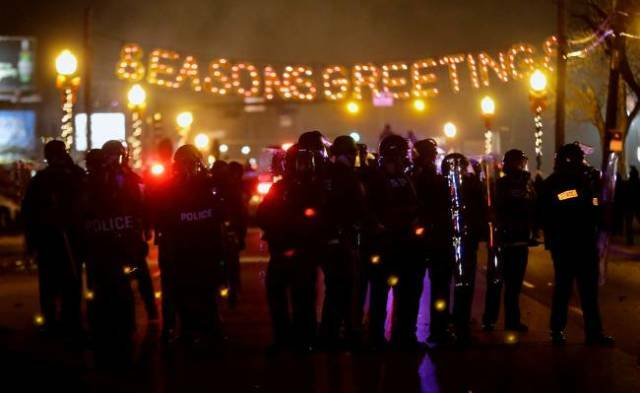 Tear gas and protests are not your traditional holiday behavior. This entry was posted in Headlines, Photo of the Week, Wisdom and tagged Darren Wilson, Ferguson, Gun Violence, Michael Brown, Missouri, Police Brutality, Privilege, Racism. Bookmark the permalink.